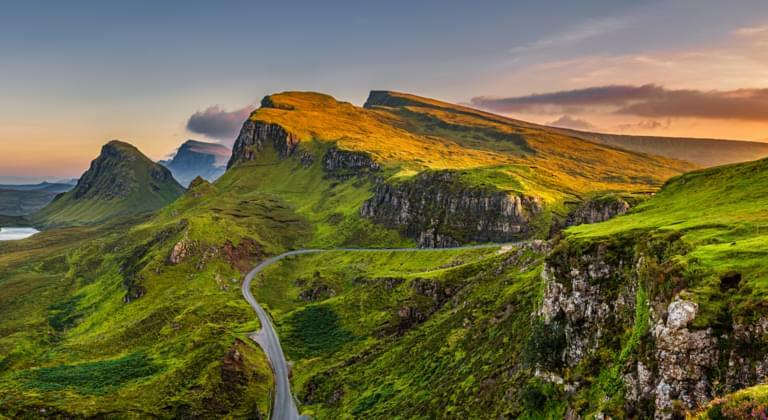 The Scottish Highlands with their breathtaking scenery are among the most beautiful destinations in Great Britain. Explore the mountains, lakes and heathlands on your own by hireal car. If you drive in the Highlands by hireal car, you will experience the Scottish culture up close. You will find the right vehicle for your holiday on Driveboo.com. Compare the car hire offers of the Highlands from the comfort of your own home and book at the best price. In that manner you can start your journey through the Highlands right after your arrival. With a suitable hireal car you will certainly get to know all the facets of the Highlands. Car hireal Highlands: Where can I get a hireal car? In the Highlands you can pick up a hireal car in both Inverness and Wick. Book your desired car online in advance and pick it up at the hireal car company of your choice. Alternatively, you can pick it up at Inverness Airport (INV) or Wick Airport (WIC). In this way, you will be flexible in the Highlands from the very first minute. Where can I find whisky distilleries in the Highlands? Whisky tasting is a must-do during your stay in Scotland. But be careful: Don't drink and drive! Which cities in Scotland are also worth a trip by hireal car? In the table below you will find other exciting cities in Scotland that are worth a trip by hireal car. The table also shows the distance and travel time by hireal car from Inverness.